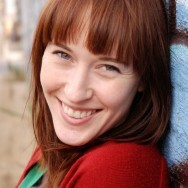 Heather Klar is the Firework Theater resident costume designer. She’s been with us from the beginning, creating the look for just about everything we’ve ever done. She’s also a fashion designer! Emily Vitrano played the role of RENEE in the 2006 productions of The Blue Martini.